Listen: Mini Mansions’ new song, 'Midnight In Tokyo'. Ahead of the release of their new EP this Friday, Mini Mansions have released a new single, ‘Midnight In Tokyo’. About the new song, the band say: “Inspired by true romances and real heartbreaks, this song came to life after an existential trip to Tokyo. This track is no deep cut, but it’s content sure does cut deep. This is the second instalment in the new Mini Mansions wave to come." MusicWatch: Mini Mansions - 'Mirror Mountain' music video. MusicAlex Turner & Mini Mansions performing 'Vertigo' together live. MusicMini Mansions - 'Midnight In Tokyo' music video. MusicMust-listen: Mini Mansions' new songs 'Freakout!' and 'Ordinary Man'. 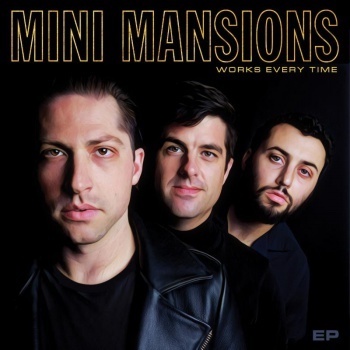 MusicMini Mansions announce new song 'Works Every Time'. MusicWatch: Mini Mansions perform live with Sparks as their backing-band.